We are entering a new urban age, so let’s build world class partnerships between the great hubs of British, Israeli and Palestinian life. Predications are always difficult, especially when they are about the future, said the great Yogi Berra. But we know this: the next decade will see an incredible new urban age. McKinsey project that half of economic growth between now and 2025 is set to be powered by just 440 cities, 242 of them in China. This vast new growth could drive a tripling of global wealth by 2050, to some $150 trillion. Winning in that new market could bring great prizes for partners who set about the business of innovation together. 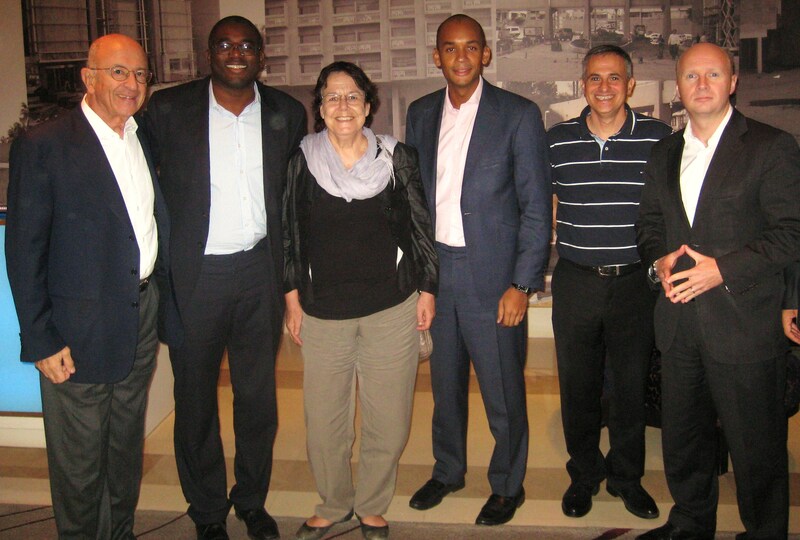 In October, Labour Friends of Israel travelled to Israel. Aided by Sir Trevor Chinn, the Shadow Business Secretary Chuka Umunna and I set out to explore the extraordinary decade which has made Israel known as the ‘start-up nation.’ We hope to build new partnerships between the great hubs of British, Israeli and Palestinian life: our great cities and universities, teaching hospitals, councils, and entrepreneurs, both in civic life and hi-tech. We have much to learn. Israel now has the largest concentration of start-ups outside Silicon Valley and, per capita, two and half times as much venture capital investment. Of course, as Saul Singer, co-author of Start-up Nation, points out, Israel is unique. In a sense, the country itself is a start-up; the wave of immigration from Russia and east Europe after the Berlin Wall came down not only provided a huge injection of talent – well trained mathematicians and scientists – but ambitious newcomers who wanted to make the most of their new found freedom. Immigrants are by and large highly entrepreneurial; they founded half the start-ups in Silicon Valley. And crucially, the military inculcates its recruits with an appreciation for ‘mission’; or as Singer put it ‘how to combine the need not to fail and the need to take risks’. Half of economic growth between now and 2025 will be powered by just 440 cities, tripling global wealth by 2050. But Israel has also mastered sophisticated systems for backing risky new ideas. Standing in Industry House, a rather 70s style tower block in the middle of Tel Aviv, Israel’s Chief Scientist, Avi Hasson told me, ‘In the area of innovation, government has an inherent role to play. You can’t optimise the role of innovation by leaving it to the market.’ Hasson invests some $500 million a year in 3000 companies. This kind of help has created an incredibly rich environment for start-ups. Erel Margalit runs Jerusalem Venture Partners and its $900 million fund from a complex of offices in the old mint of the British Mandate in Jerusalem. Right alongside Ottoman-era warehouses are the JVP Media Labs housing new businesses, a nightclub and space for social enterprises. Rad Biomed in Tel Aviv which funds new biotech ideas is another inspiring example; since 1991 the fund has created some 150 start-ups with sales of over $1 billion. The Palestinians are also huge potential beneficiaries of Israel’s hi-tech boom. They have a well-educated and entrepreneurial population and access to the markets of the Arab world. The Palestinian economy is closely tied to the Israeli economy and there is already a surprising number of business to business links between Israeli and Palestinian hi-tech firms through sales and outsourcing agreements. Global collaboration can make the world of difference. The US-Israel Bi-national Research and Development Fund (BIRD) has directed hundreds of millions of dollars to good partnerships between US and Israeli firms. Most of the Israeli firms on NASDAQ have BIRD funding in their DNA. Today, UK-Israel-Palestine relations are a bit of a capital to capital affair. The incredible new hi-tech hub based at the new British embassy in Tel Aviv is focused on London and the Silicon Roundabout. These are important relations, for sure, but they must not mark the borders of our relationship. There is now huge potential for city-to city links. If I think about my home city of Birmingham, I can see that the software of innovation is too often locked up in our institutions; our city council, especially for the role it plays coordinating schools; our great teaching hospitals which not only save lives every day, but break the ground of new science; our science parks which produce cutting edge ideas; and our universities which are not just teaching, but developing ideas in partnership with great R&D leaders like Rolls Royce, Jaguar, Land Rover and Astra Zeneca. In Birmingham we want to orchestrate these players to be a catalyst for growth that will drive exports and jobs. It is clear to me that we’d gain much if we forged stronger hub-to-hub relations in the Middle East. Before I left the Treasury in 2010, I’d become fascinated with how much economic growth was now driven by our key cities. Innovation today is no longer the inspired work of a lone genius locked away in a lab. It’s the steady achievement of networks and teams; experimenting, making mistakes, trying new angles. That tells us something important. If you’re only as good as your network, then we should be trying to build the world’s best. The great hubs of Britain, Israel and Palestine could together become quite an act to follow. Liam Byrne is the Member of Parliament for Birmingham Hodge Hill. He was Chief Secretary to the Treasury from 2009 to 2010 before being appointed Shadow Secretary of State for Work and Pensions in 2011. Liam’s article, in the new Fathom Journal (http://www.fathomjournal.org/), follows his visit to Israel and the Palestinian territories in October with LFI, to learn from Israel’s hi-tech success, and to call for deeper economic relations with Israel, and closer economic ties between Israelis and Palestinians. Liam and Chuka Umunna MP led this fact-finding delegation, which was the first visit of LFI’s UK-Israel Economic Dialogue, announced by Shadow Chancellor Ed Balls in July, who will be visiting Israel later this year. Liam and Chuka were joined on the visit by former minister for innovation Rt Hon David Lammy MP, Labour Peer Maurice Glasman and businessman and philanthropist Sir Trevor Chinn. In his article, Liam points towards Israel’s success in nurturing hi-tech start-ups and to the new hi-tech hub based at the British embassy in Tel Aviv, and makes the case for bilateral business and innovation relations to go beyond the national level, to the city-to-city level. Fathom is published quarterly by the Britain Israel Communications and Research Centre (BICOM). It is available online at http://www.fathomjournal.org/ and as a free app for the iPad and iPhone – www.fathomjournal.org/app/.